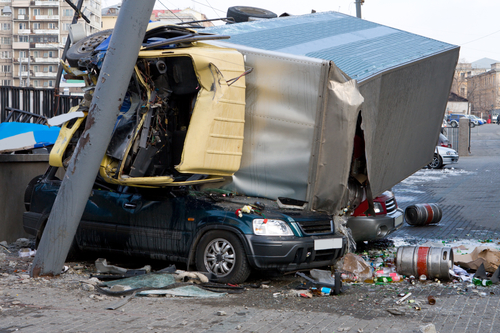 The damage done during truck accidents is usually petrifying. Anyone still alive will have to go through the lengthy period of healing and the excruciating pain that comes with it. Also, there is the possibility of some permanent deformities occurring. If you or someone close to you has suffered such an unfortunate incident, you should talk to a truck accident attorney immediately. If you are involved in a truck accident, the outcome could be extremely disturbing. For this, you need to be compensated. While getting compensated might not soothe your pain or alleviate the trauma you experience, it could help with your rehabilitation. Getting a truck accident attorney will assist you to ensure the right thing is done regarding your situation. Rawa Law Group is renowned for providing excellent legal representation in Hesperia, and we intend to extend such a gesture to you. For years we have helped clients in need of effective legal counsel and with our team compromising of well-trained and smart lawyers, we are ready to see your case to a logical conclusion. Clients with truck accident cases can attest to the professional approach taken by our sophisticated truck accident attorneys in Hesperia in getting them justice against some unyielding offenders. Having Rawa Law Group watch your back comes at no cost albeit initially. You don’t have to worry about money until you win. You can have a truck accident attorney begin working on your case immediately. At Rawa Law Group, we go the extra mile. At zero cost to you, both now and in the future, one of our highly regarded truck accident attorneys in Hesperia will look at your case to see how best we can help you. All you need to do is get in touch with us through our contact address below.